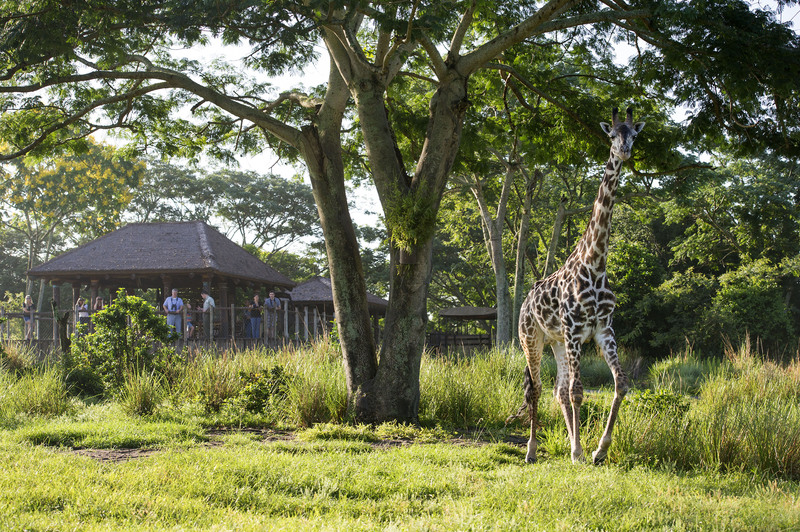 As the sights and sounds of the savanna come to life at dusk in Disney’s Animal Kingdom, visitors to the theme park now have the opportunity to experience them in an up-close-and-personal way with the new “Savor the Savanna” tour. This premium offering affords guests a private two-hour safari trek through the 110-acre Harambe Wildlife Reserve, with a spectacular world of creatures, such as gentle giraffes, playful wild dogs and regal lions, roaming about. The leisurely pace and a knowledgeable Harambe guide help to ensure no one misses the array of exotic animals in a variety of unique habitats. The safari vehicle will stop frequently for the best wildlife viewing and photo opportunities, and the guide will point out fascinating facts along the way. A highlight of the adventure is a stop for dinner at an exclusive viewing area. Here, guests will enjoy a selection of regional beers, wines and specialty drinks and savor African-inspired tapas, right in the middle of the breathtaking savanna. It’s a bounty of flavors bursting with delectable tastes and textures. After the journey, guests will receive a special keepsake memento of their unforgettable evening to take home. Cost for this exclusive experience, which is limited to a maximum of 12 participants, is $169 per person. Each participant must be at least eight years old, and valid theme park admission is required. To book reservations, guests may call 407-WDW-TOUR or visit DisneyWorld.com/tours.